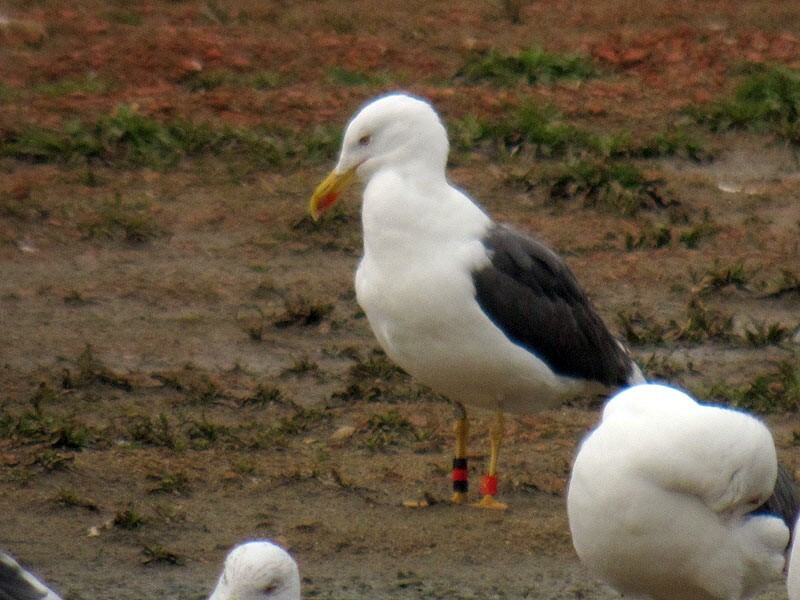 In the summer of 2017, 20 Lesser Black-backed Gulls (Larus fuscus) were fitted with UvA-BiTS GPS tags as part of a study into the potential impacts of offshore wind parks on bird movement, migration and breeding. The gulls were captured in a breeding colony on Schiermonnikoog, a Dutch island located in the North Sea. This is the first time birds from the colony have been tagged, so we are in the process of discovering new information about the movement behaviour of these birds, including fine-scale foraging movements over sea and land during the breeding season and their large-scale annual migration routes and timings. The gulls left the surroundings of the colony after we tagged them during the breeding season last July. Since we are not able to download GPS data until they return for breeding in the summer of 2018, their non-breeding movements remain somewhat of a mystery. However, thanks to colour ring re-sightings of the gulls in their winter habitats, we do have some idea! 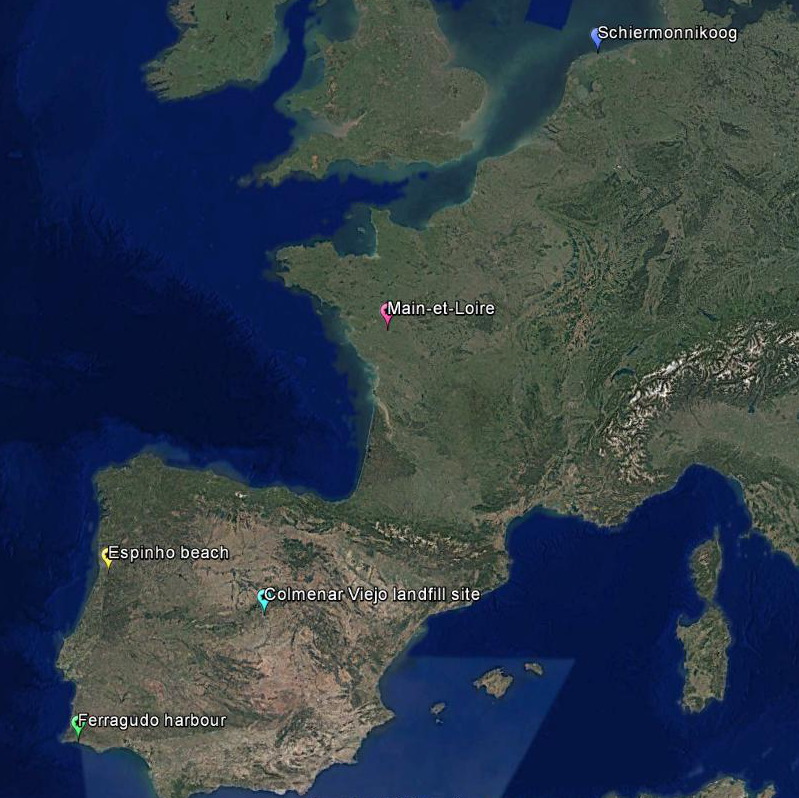 A few of our tagged birds have been spotted in the popular holiday spots of southwestern Europe, like the beaches and harbours of Portugal, and they have also been seen enjoying the occasional trip to landfills in Spain and France.